It all starts with the ambition to include the image of man in my work as in a traditional sculptural way. I’ve never been able to realise that ambition simply because my hands never wanted to listen and my mind works differently. In my work I refer to man-made objects that relate to the direct environment. It’s the image of man through its self-created artefacts and constructions rather than the depiction of man itself. 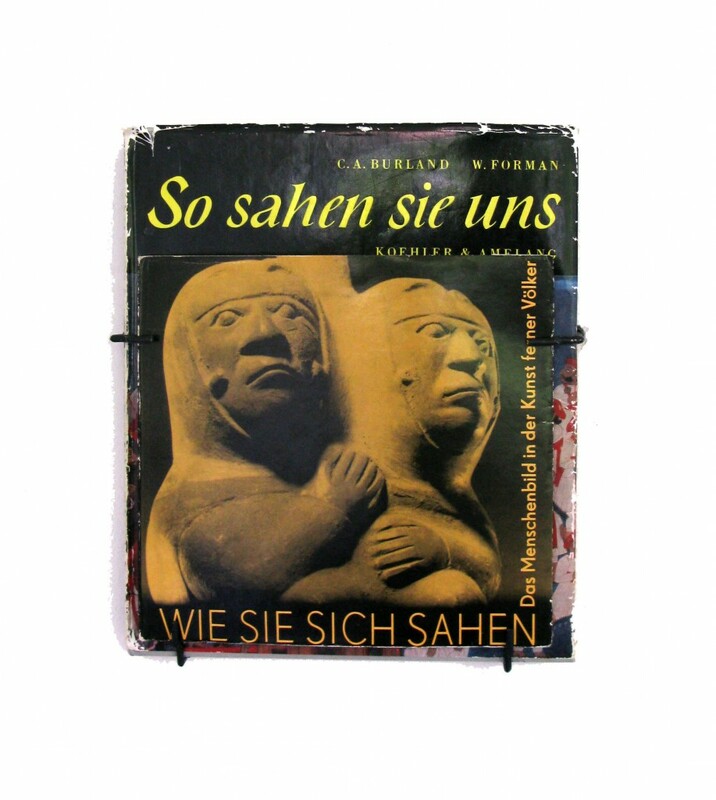 First I found two books with special titles: ‘So sahen sie uns’ and wie sie sich sahen’. Although the books themself deal with the images of colonisation and colonised people, the titles – when isolated – could refer to artistic practice in a more general sense. Werner Forman, a Czech photographer who specialised in documenting the artefacts of ‘the great civilizations’, made the photographs in the books. I started to collect books with his work and later on I collected books with images of sculpted heads and faces. I considered it study material for how other people depicted other people. Books with this kind material are interesting on different levels. Most of these books contain a collection of images from different collections. They are in a way the same as most of the collections the artefacts were taken from. Gathering objects from different sources around the world formed these collections. Most of the photographs, and especially those of Werner Forman, are clearly an interpretation more than a reproduction of the original. Then there is another more sculptural motive for my interest in these books and images: the inspiration early modernist artists drew from so called ‘primitive’ art. This art with its absence of straight lines, simple outlines, with the presence of symbolic signs and emotive distortion of the body is so contrary to my own work. It’s attractive to love something that is on the extreme other side of the spectrum one works in oneself. 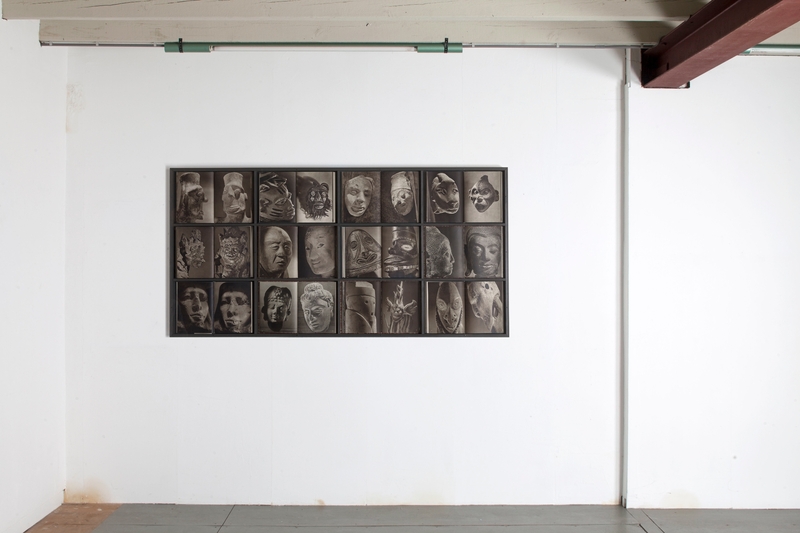 The first series I made from the collection of books was ‘the other / representations of the self’ in 2013. 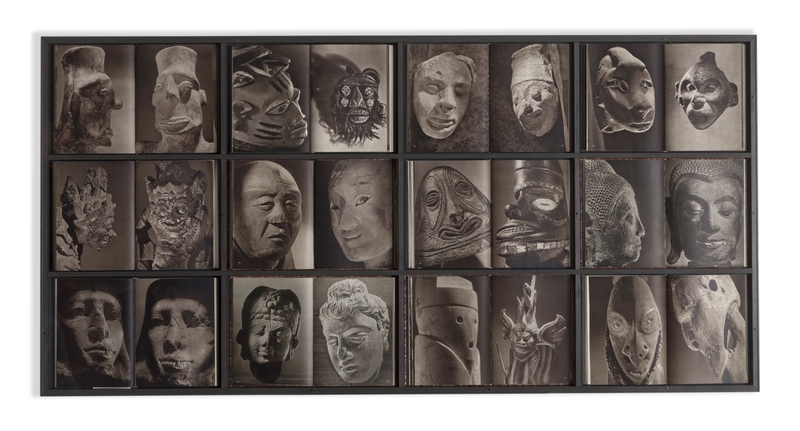 A series of 14 photographs of arrangement of books with images of heads / faces / masks. Photographing instead of showing the real books seemed to have self-evidence in it. It is another reproductive interpretation of so many interpretations before. Soon after I made the work ’others’ where I showed 12 opened books within a frame. The books are multiple copies of two books from the series ‘Knut ferner länder’ by Werner Forman. Since these are all the same books with the same style images I thought it would be interesting to suggest the hidden images in the books that can’t be accessed.